The pup and I have been exploring our new neighborhood. I've missed my photo walks. 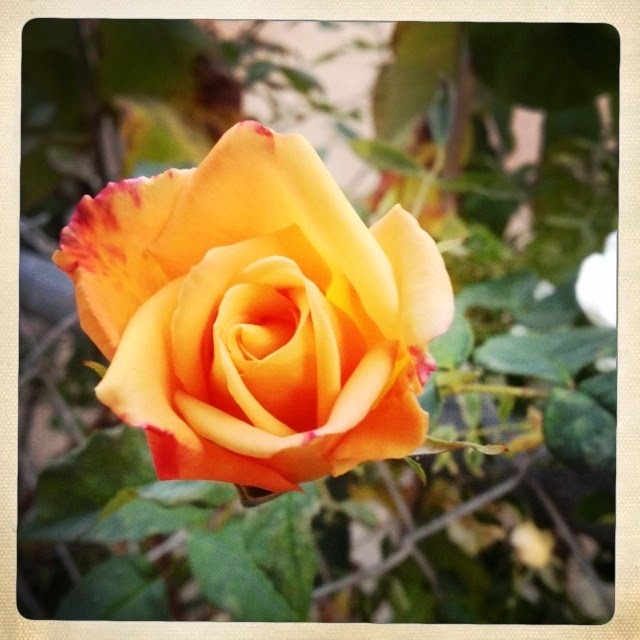 Today we found a lovely rose garden behind a picket fence. I forgot, for a moment, that we are living in a busy city. My new kitchen comes with a garden window...and a kitty. After months of having our feathers ruffled, my family of three turned family of six is finally beginning to settle in our new home. to see the sweet things again. my creativity begins to flow. 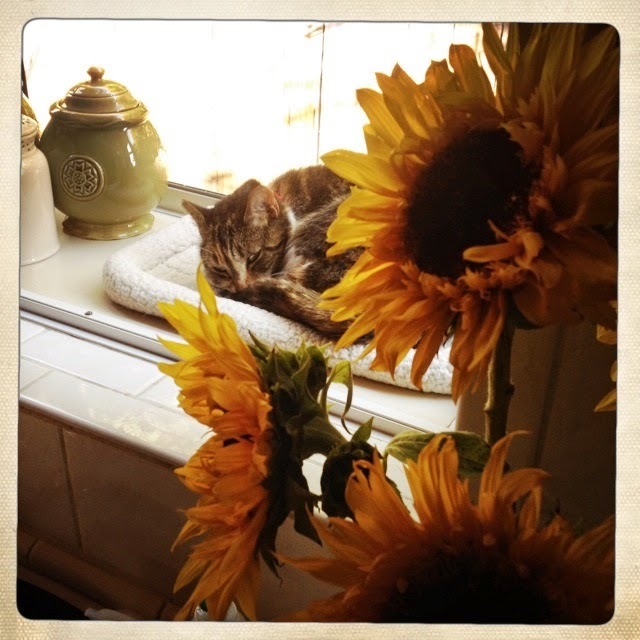 All thanks to sunflowers and a snoozing kitty in our sunny kitchen window. There is nothing stopping you, dear child, from being like the sunflowers. My eyes follow it skyward. Face to the sun, blue in my eyes. There is nothing I need more than this moment. All the chaos that is now behind us. 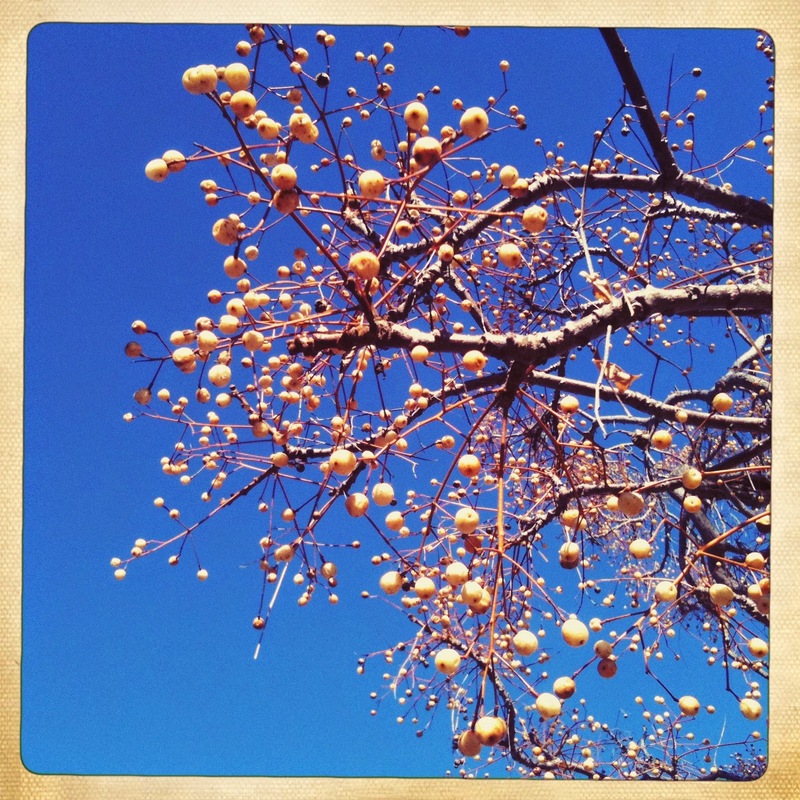 Leaves rustle on the orange tree in our new backyard. Someone hung the old wind chime. It sings of home. Right where I left them. I just want You to know, I notice it all. The tensions escape my body any way they know how. I just want You to know, I recognize. That I am still here inside all of the changes. Hope flutters in. I breathe in the possibilities. This day begins a new season of my life.